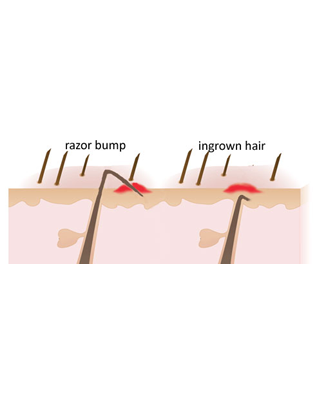 Shaving against the grain can trap hair inside the follicle changing the direction of normal hair growth. Your hair grows into the skin rather than through the skin. Shaving too closely can lead to the same result - the hair curls back on itself and grows into the skin. Always wet your face with warm or hot water before shaving to open the pores and soften the hair. Always Shave "with the grain" - the direction your grows. Use a thick shaving cream to ensure a smoother shave and smoother strokes with a fresh blade. If you're already playing by these rules but still don't feel your smoothest, start using Bump Down to get rid of ingrown hairs for good! All the shaving "do's" and "dont's" won't mean a thing if you're not using the right products to save the skin you shave. 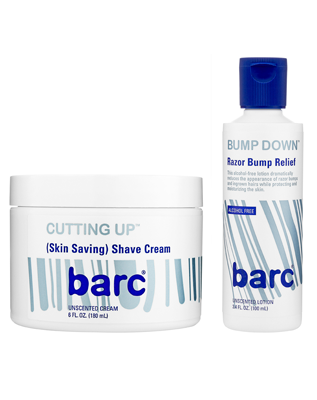 Barc's two step system will protect your skin from razor bumps and irritation, and give you the smoothest shave ever. 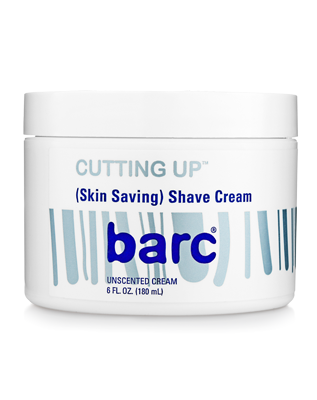 Barc's CUTTING UP is an enriched shaving cream that softens hair to ensure a smoother, better shave. Smoother because it's thicker than most creams and was designed with a built-in beard softener and inufsed with Vitamin E to heal and protect the skin. It works to reduce razor bumps and other irritation while nourishing and soothing your skin. All that's the reason CUTTING UP stands out from the pack. To get the most out of CUTTING UP apply it to wet skin and wait 30 seconds for it to properly soften your hair. Be sure to shave with the grain of your hair. Rinse off completely with cool water to remove all hair. 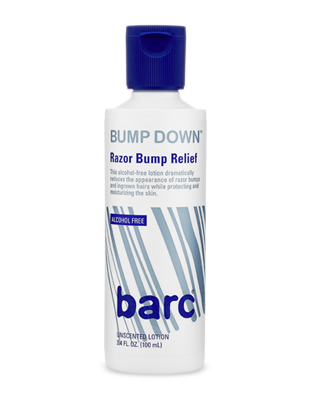 Now that you've had the smoothest shaving experience available, follow it up with BUMP DOWN for the full effect. It's called BUMP DOWN for a reason. 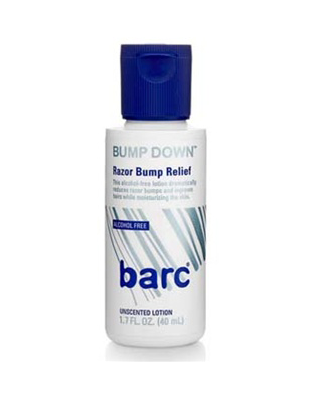 Barc's repair and relief lotion treats and prevents razor bumps and ingrown hairs as well as other skin irritations that can sometimes be down right...well, irritating. Formulated with glycolic acid to mildly exfoliate, BUMP DOWN is also enriched with chamomile extract and glycerin to calm your skin while leaving it fully hydrated. 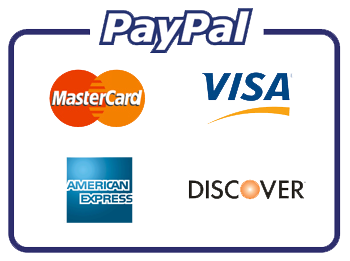 Didn't we tell you we're serious about skin? We've taken care of the science - all you have to do is apply BUMP DOWN to clean, dry skin immediately after shaving and to any affected areas twice daily.